Tired of looking at ugly, amorphous greenery masquerading as a park near my home, I decided that something had to be done about it. Years ago children used to play in Vienna’s Borge Street Park, but now the only people willing to fight their way through the jungle of brambles were hooligans – some of them potentially inebriated, judging by the caches of empty beer bottles there. I contacted the Fairfax County Park Authority’s Invasive Management Area (IMA) Program and asked if I could volunteer to clean up the park. I had some credentials, as I had majored in environmental conservation and management, and had recently completed Fairfax Master Naturalist training. But the reality was, aside from occasionally volunteering at Meadowlark Gardens, I knew little about native plants or gardening. And, although I didn’t admit this to anyone at the time, no one had ever trusted me with a sharp pair of clippers before. My boyfriend says he’s too fond of my fingers to let me anywhere near them. 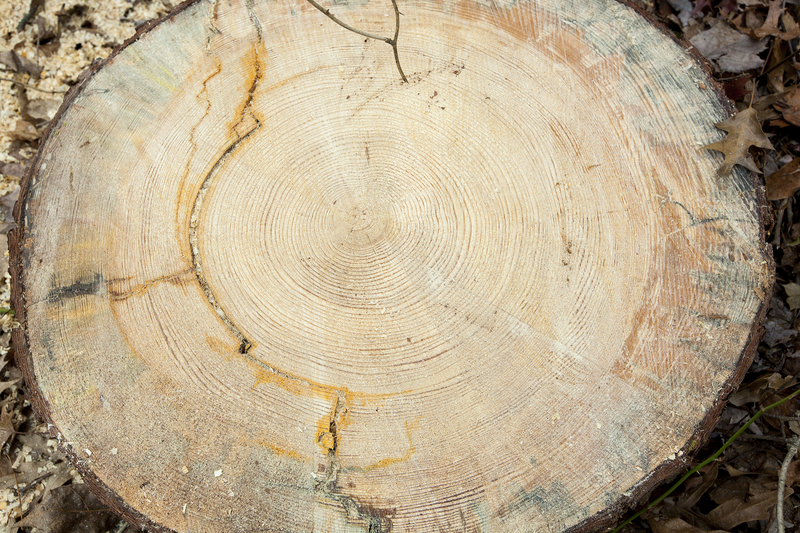 Luckily, you don’t need an impressive resume to be a site leader. 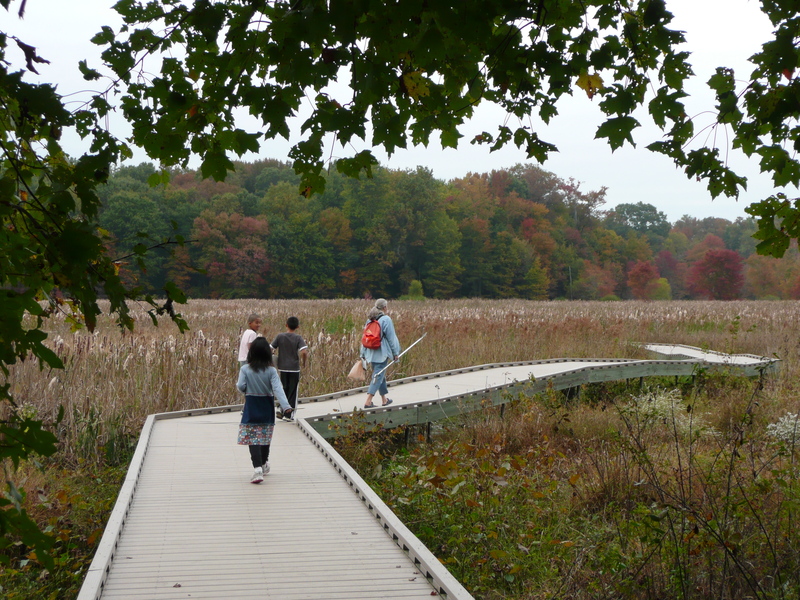 Erin Stockschlaeder, the volunteer coordinator for the IMA program, gives you a short training session, comes out to the site, identifies the invasive plants, lends you some tools, and finds volunteers to help you. All you need is the willingness to work, the time to lead four workdays during the course of a year, and – if your area has thorns – a slightly masochistic temperament. The brambles at Borge Street Park – a mix of Himalayan blackberry, Japanese honeysuckle vines, oriental bittersweet and binding weed – were reminiscent of the thicket protecting Sleeping Beauty’s castle. After several weeks of chopping and clipping, I looked like I had been wrestling with a barbed-wire fence – and this despite wearing long pants, sleeves and leather gloves. The reward, though, was undeniable. Underneath that mass of invasive plants I discovered trees – Black walnut, sassafras, redbud – all a bit straggly and limp, but still very much alive. Even better, I unearthed a field of milkweed. I had never seen so many milkweed in one place. And what an aroma! I never knew milkweed flowers could be so fragrant. The butterflies thought the same. For me, nothing could be more satisfying than to see a mother and her young daughter chasing swallowtails through the newly opened field, knowing that a few months ago the park had been filled with only the more adaptable denizens – the ubiquitous deer, squirrels, mice, sparrows, and blue jays. Other flowers, long held captive by the invasive plants, began to free themselves from the undergrowth. I stared down a deer eating the yellow flower of the evening primrose, and the Velcro-like seeds of the tick-trefoil glued themselves to my clothes. Of course, I didn’t do this on my own. An unexpected benefit of this endeavor, other than the increased muscle tone in my arms, is that I met so many interesting people and made so many new friends. First came students seeking service hours or experience to add to their resumes. Some showed up once or twice; others came long after they no longer needed the hours. James, a good-looking, affable young man, came equipped with a machete. He told me he lived on raw meat, raw eggs, and unpasteurized milk. Bianca was the daughter of diplomats, and she told me of her life in Honduras and of the trees that grew there. Other volunteers included a gay-rights activist, theatre kids, and occasionally a youngster who was actually interested in the environmental field. I reconnected with an acquaintance from my son’s elementary school days. She’s a Cornell graduate who wrote a book on learning how to use tarot cards. And then there’s Al, an elderly gent, long retired, who used to work as a nuclear physicist. He’s become an avid supporter, helper, and cheerleader of my efforts. We’ve bonded, and I have spent several pleasant afternoons at his house, sipping tea and doing jigsaw puzzles. The park has become my passion. When people ask me what I do for a living, I say, “Which one? The one I get paid for? Or the one I prefer?” I’m at the park every week, even in the snow. A neighbor says that whenever he strolls past the park on the way to the playground and I’m not there, his toddler demands to know where I am. My park project gives me the chance to be outside and teach about the environment, another of my passions. I explain to the students, volunteers, and curious passersby about the dangers of invasive plants and the need for biodiversity. I suggest that they read Doug Tallamy’s book Bringing Nature Home that explains the correlation between native plants, native insects and other wildlife. I also mention The Ecology of Lyme by Richard Ostfeld, in which he relates his findings on biodiversity and Lyme disease. His work suggests that the more biodiversity an area has, the fewer cases of Lyme disease will occur. But mostly I hope that the park will look so pretty and so full of wildlife that other people will be inspired to adopt their own local park. Our parks need lots of help. Everybody’s help. 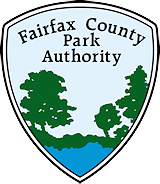 Learn more about invasive plants and the Fairfax County Park Authority’s Invasive Management Area program here. Receive a free t-shirt by volunteering to help IMA Take Back the Forest during April and May, 2014. 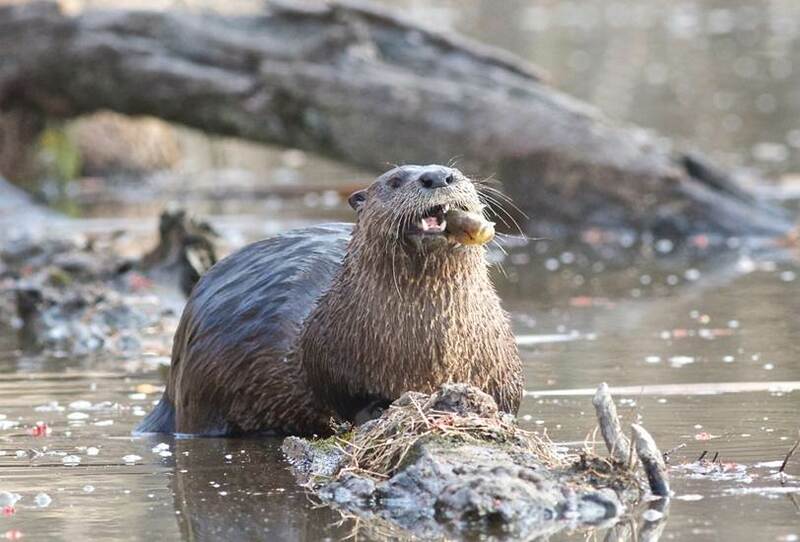 Author Jennifer Pradas is the Invasive Management Area Site Leader at Borge Street Park in Vienna, Va. This entry was posted in Uncategorized and tagged Borge Street Park, Doug Tallamy, IMA, Invasive Plants, nature, Resource Management Division on March 13, 2014 by Fairfax County Park Authority. 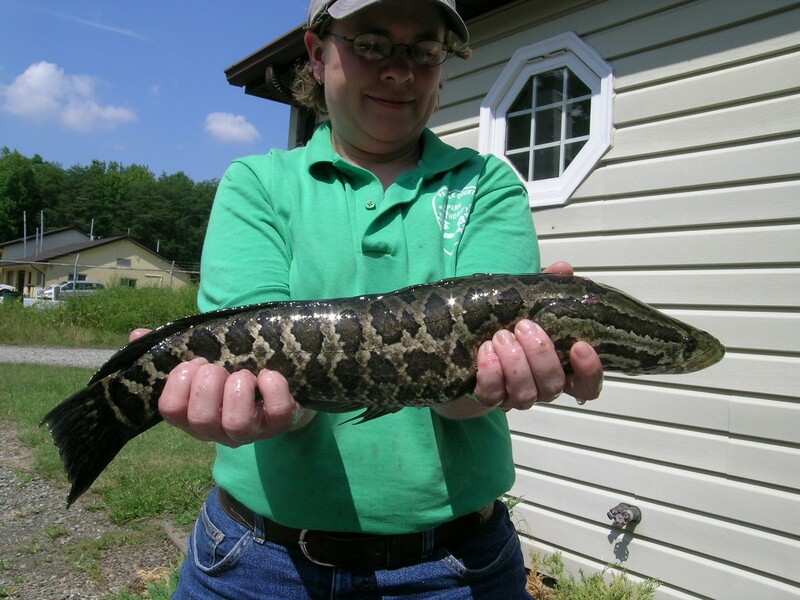 Fifty Northern snakeheads were removed from the central wetland last summer. One of the wildlife critters we’ll be keeping an eye on following the wetlands reconstruction at Huntley Meadows Park is the Northern snakehead. The exotic, predatory fish has been in the Dogue Creek portion of the Potomac River since at least 2004. They are well established in the Potomac River and have spread to other Chesapeake Bay tributaries. They were first seen in the Huntley Meadows central wetland in 2009. Now, five years after the first sighting in the park and following the reconstruction that adds water depth to the central wetlands, there are new questions about the impact the snakehead will have at Huntley Meadows. Which species are most at risk from the introduction of snakeheads to the central wetland? Smith: From our discussions about wetland management, the biggest concerns are the amphibians, particularly the frogs. Huntley Meadows has one of the only, and certainly the largest, breeding populations of southern leopard frogs in the region. There is concern that snakeheads could greatly reduce this population. Lawlor: The native fish species will likely see the biggest impact from snakeheads. However, after an electroshocking project last summer, the fish biomass and species abundance was very high and impressed everyone present, including the experts. We do not know what kind of impact they are having on our amphibian populations. The most significant impact would be the southern leopard frogs. However, given the wetland project’s deep pool habitat created for fish and their predators (kingfishers, otters, bald eagle, grebes, etc. ), all fish, including snakeheads, will probably experience more predation. This is a good thing, as it creates a more complete food web, and it may mean snakeheads experience more control from otters and eagles. Staff use electro-fishing equipment to shock and count fish. Snakeheads are removed. Is there any evidence that snakeheads are negatively impacting any species in the park? Smith: There is no evidence yet. At what age do snakeheads start having babies? Lawlor: I believe they are sexually mature when they reach about 12 to 16 inches long. We caught two here a couple of years ago, both around two to three pounds (17 to 20 inches), and they were both full of eggs. 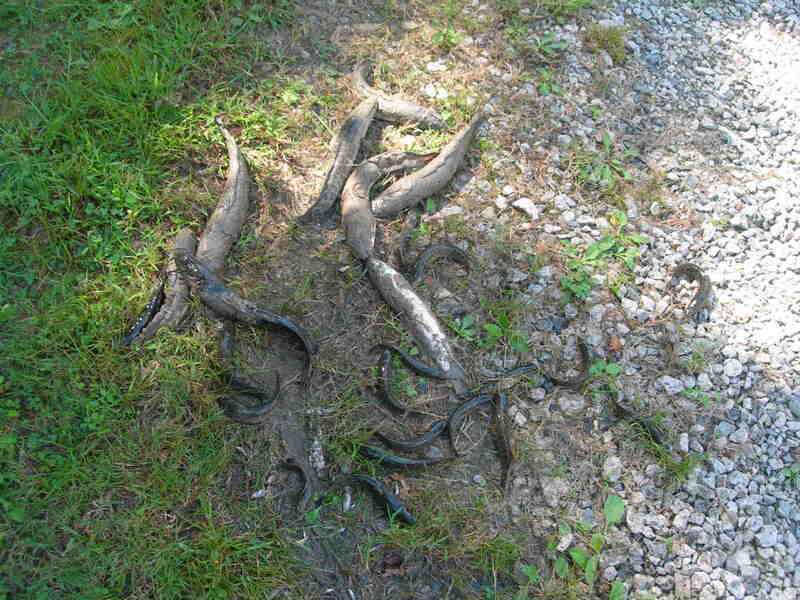 Small schools of snakehead fry have been seen near the park. Where would the adult female live? Smith: In the same general environment – shallow water, often in vegetated areas. Lawlor: Females snakeheads of breeding age are living in the wetland complexes and likely in the central wetland along with many siblings and offspring. 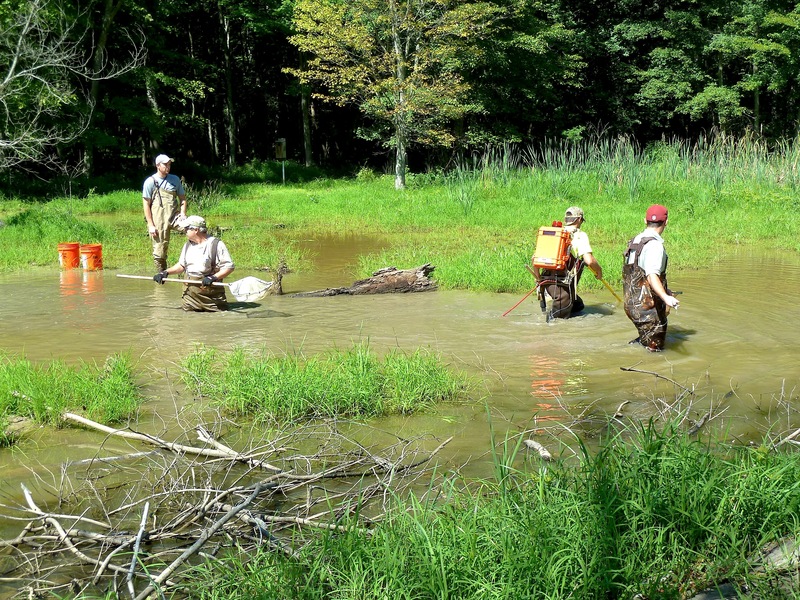 Staff conducted an electroshock cull last summer while the wetland was drawn down for construction. Fifty snakeheads were removed from the wetland, including some large three to five-pound specimens. Unfortunately, it appears snakeheads are here permanently, and we will have to continue to manage their populations. Which animals eat snakeheads? Is it enough to control the snakehead population? Smith: Wading birds, osprey, eagles, otter, snakes, and snapping turtles can all eat snakeheads depending on their size. It apparently is not enough to prevent snakeheads from breeding, but no one knows if there are enough predators to keep the snakeheads in check. Lawlor: I would just add other fish, assuming other fish are able to survive in the wetland with them. 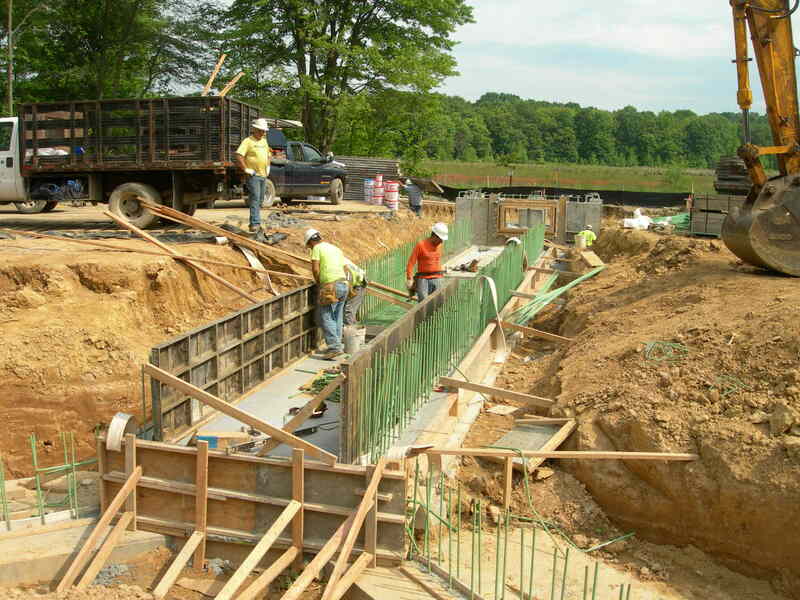 With the deeper pool habitat being created with the wetland project, other fish (crappie, perch, sunfish etc.) should have a chance to flourish in the wetland, too, and all of these fish eat other fish. What should a person do if they spot a snakehead in Huntley Meadows? Is it ok to net and kill snakeheads on the boardwalk? Lawlor: We ask people to notify us if they see a snakehead in the park. We would prefer not to have the public randomly killing fish. Not everyone knows how to ID a snakehead. Is there a program in place to monitor snakeheads in the central wetland? Lawlor: I wouldn’t say we have a plan to monitor them, but they will be managed by removal whenever possible. We are considering doing some removal this summer. 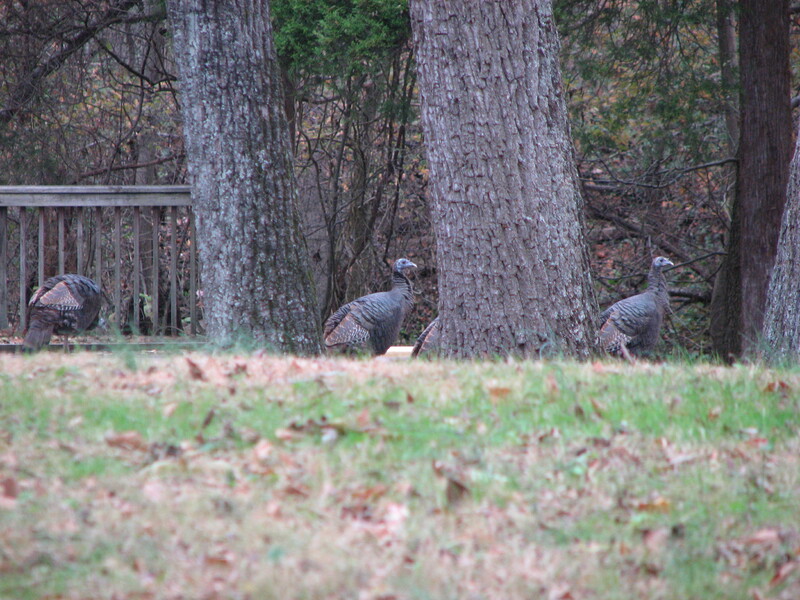 Are there any regularly scheduled culling dates? Smith: Part of the design of the wetland restoration is to create deeper pools that can provide habitat for fish and other species during drought periods. During extremely low water, snakeheads should be confined to these pools. Park and county staff could then enter the pools with electrofishing equipment and remove all of the snakeheads in the pools while leaving the native species. This should provide the opportunity to greatly reduce the snakehead population every several years if not control them outright. Lawlor: We don’t have regularly scheduled culls, but we did a cull last summer and will continue to conduct culling operations when low water levels make it possible. Is there a point at which we say, well, snakeheads are here, they may be non-native but they’re now a part of our local ecosystem? Munroe: We don’t know enough yet about the impact snakeheads have on our native ecosystems. They may turn out to be less of an issue than we originally thought, or they may be much worse. As we learn more, we can get a better handle on what our long-term approach and attitude should be. Lawlor: I think that it is safe to say they are here to stay, after seeing the numbers of fish we removed from the wetland this past summer. We have to accept that they are here, but we will do our best to manage the populations and keep their influence on our delicate ecosystem as small as possible. What will deeper water in the wetland, one result of the reconstruction project, mean for the proliferation of snakeheads? Smith: They can go where the water is, so snakeheads would follow the expanding pool during deeper water periods. Lawlor: Also they would be able to survive the most severe droughts that would normally kill off their population. So the deeper water will ultimately benefit their populations in the wetland. But as Charles mentioned, this will be an opportunity for staff to manage their number by catching or shocking them in the deep water pools as we did in summer of 2013. How big can a snakehead grow in the central wetland? Lawlor: This is still unknown in the wetland system. A record snakehead was caught in the Potomac River in 2013, around 17 to 18 pounds. I am not sure they will be able to get that big in the wetlands because they will not have nearly as much forage – if they stick to fish. So far the biggest snakehead caught in the central wetland was about five pounds. Bowfin, lamprey and American eel look a little like snakeheads. Are those fish seen in Huntley Meadows? Munroe: American eels yes, but not the other two species. However, eel have uniformly brown backs and sides, while snakeheads are patterned with black blotches on a pale background, much like a python, hence the name. Lawlor: American eels are common in the Dogue Creek and Barnyard Run watersheds. The least brook lamprey is also found in the Dogue Creek Watershed, although none have been found in the wetland yet. Least brook lampreys are typically less than six inches in length. As Kevin mentioned, eels and lampreys are generally a solid brown or tan and do not have any patterns on their flanks making them easily distinguishable from snakehead fish. I am not aware of any positive ID of a bowfin in Fairfax County, but they are found in some Virginia rivers. Can people fish for snakeheads in Huntley Meadows? Munroe: No. Fishing is not allowed at Huntley Meadows Park. Is it safe to say that snakeheads are breeding in the central wetland? Lawlor: Yes! We will continue to manage their populations the best we can to reduce their influence on the wetlands ecosystem. Prepared by Matthew Kaiser, deputy public information officer; and Dave Ochs, stewardship communications manager. This entry was posted in Uncategorized and tagged Alexandria, fishing, Huntley Meadows Park, Invasive Species, marsh, nature, Northern Snakehead, Southern Leopard Frog, Stewardship, Wetland on March 6, 2014 by Fairfax County Park Authority.